HC2 Holdings, Inc. (HC2), a diversified holding company, announced that American Natural Gas (ANG), a premier distributor of alternative motor fuels and a portfolio company of HC2, has acquired Questar Fueling Company, a subsidiary of Questar Corporation, and Constellation CNG, LLC, formerly a subsidiary of Constellation, in two separate transactions. As a result of the acquisitions ANG acquired 18 CNG fueling stations, and now owns and operates approximately 40 stations in 13 states across the United States, inclusive of stations in process and under development, up from only two stations at the time of HC2’s initial investment in ANG in August 2014. 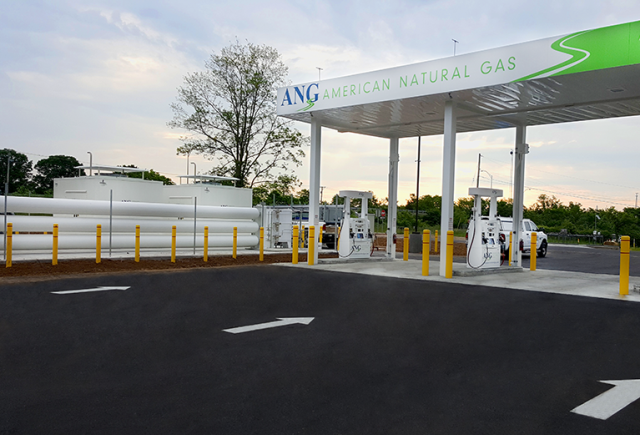 ANG acquired seven CNG stations in Indiana and Ohio via the acquisition of Constellation CNG, and 11 CNG stations in Arizona, Kansas, Texas, Utah, California, and Colorado through the acquisition of Questar.